Your words chilled me to the bone! The strength of your words will be keeping me strong, for as long as God is willing to grant me life. I am starting to think my life will never end, because the sheer energy of your words is enough to raise the dead. I speak the truth when I tell you – these words are worth more than the Gold Star of the Hero of Ukraine! And tell your children – symbols don’t die, they don’t burn in the fire, they don’t sink in water, and they never grow weak! They are eternal, passing from one heart to another and living in them forever. Now, your children’s hearts will also be set aflame, and become a symbol of Ukraine. Ukraine will not weaken! For together, we are strong, and we cannot be conquered! 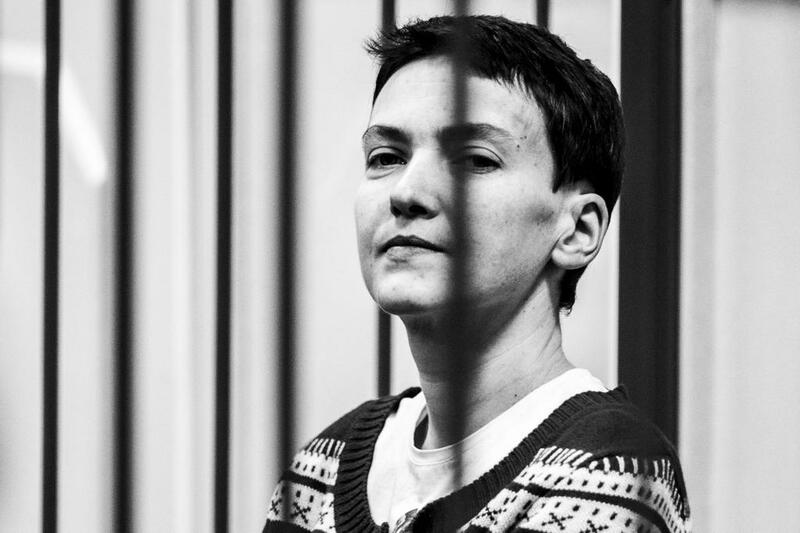 Yesterday, 03.04.2015, Nadiya Savchenko appeared in Moscow’s Basmanny Court, where her lawyer Mark Feygin was appealing her detention concerning her immunity as a PACE delegate. The appeal was rejected. 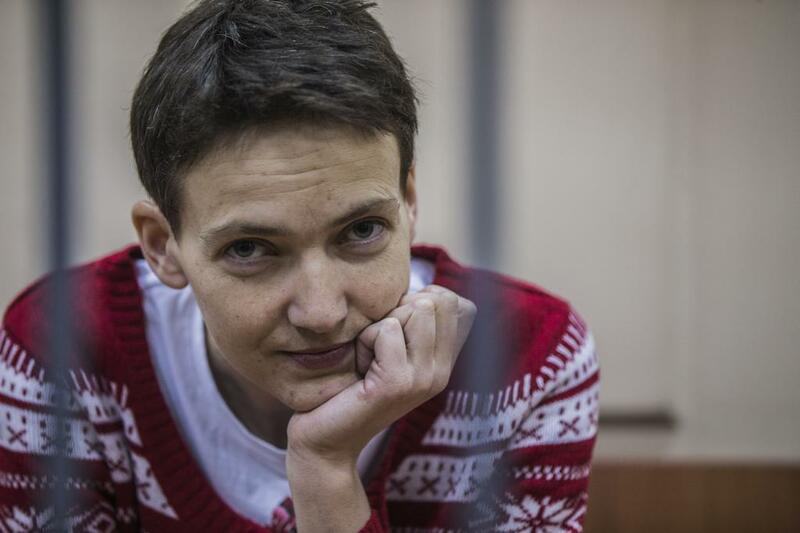 The BBC’s Sarah Rainsford got a chance to talk to Nadiya Savchenko in court. When asked about her health, Nadiya, on the 82nd day of her hunger strike, said she feels cold and tired, her bones hurt, and she is often dizzy. “But I have feelings, it means I’m still alive,” she said. She also said she has another 15 kilograms to lose before reaching 40, the weight she considers deadly. 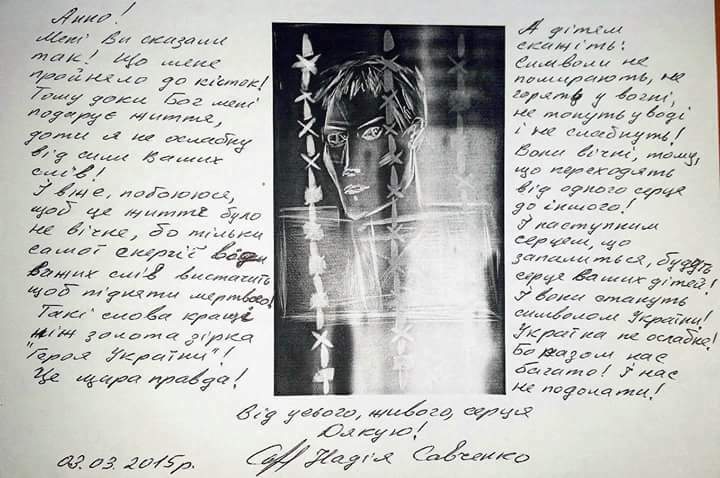 But, according to Nadiya, “don’t worry, it won’t finish me off soon.” Nadiya, who weighs 55 kilograms right now, says she will gain twenty once she gets out of prison, and jokingly advises girls to stay away from diets.